It follows his election victory last month. 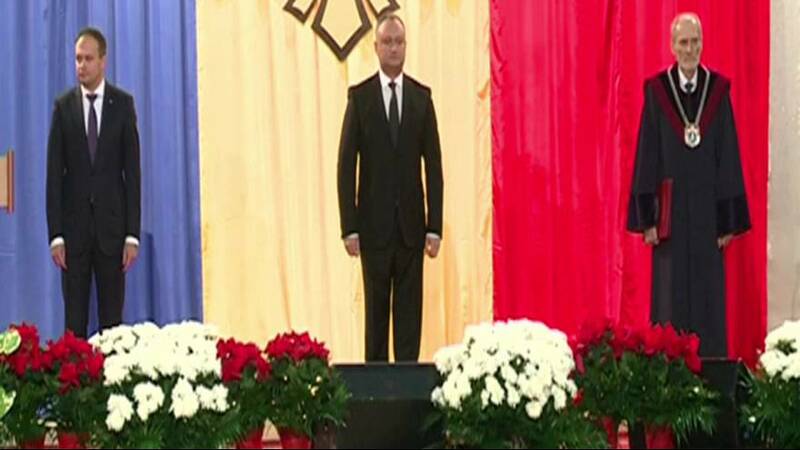 In what was the first direct presidential vote in Moldova in 20 years, Dodon won around 55 percent of the ballot defeating pro-EU candidate Maia Sandu. The country’s parliament has chosen the president since 1996. The election was broadly seen as a choice between those supporting closer integration with Europe and those wanting to restore ties with Russia. Dodon, supported the later, vowing to construct a closer relationship with Moscow by joining the Russian dominated Eurasian Economic forum. But that pledge could be easier said than done – Moldova currently remains dependent on EU and IMF cash after a severe banking collapse in the ex-Soviet Republic last year.